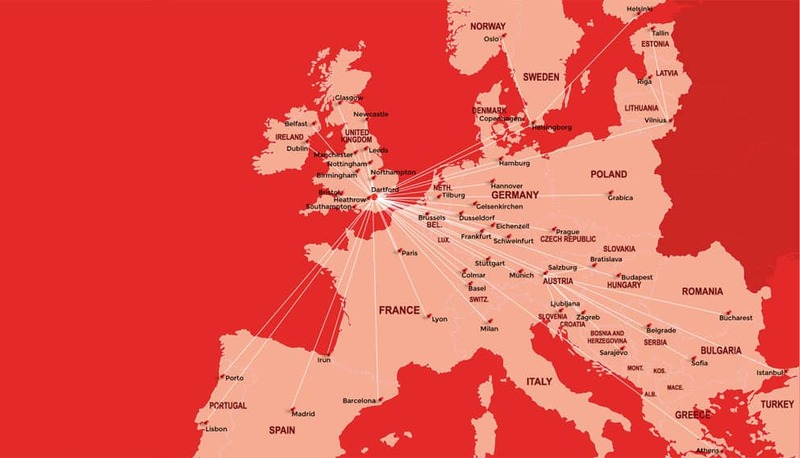 Each of our 11 local branches is linked to 1hub via scheduled, daily, round-trip trunking that allows our customers’ shipments to connect to Europe every single day with transit times that are market-leading. Europa Worldwide Group is celebrating over 50 years of success through a company-wide charity initiative by reinforcing its company values. We also offer a unique service that no other company in our sector offers – our Money Back Express promise of your shipment delivered on time, or your money back. MBX is a simple, straightforward guarantee. In the unlikely event Europa fails to achieve the criteria of the express, the customer will receive a full refund of freight charges for that shipment swiftly and with no discussion, even if the failure is outside Europa’s control. Our customers can acess Europa Road’s services over the phone, via email and now via LeoWeb – our easy-to-use customer portal which allows customers to create consignments, print labels, track consignments and receive online IOD or POD information in live-time. Our experienced and friendly Account Managers and Customer Service teams are always close-at-hand in your local area. We pride ourselves on building solid, long-term relationships with our customers, based on quality of service and value for money.